We all know that Blogger is becoming more smarter but not greater than WordPress. As comparison to WordPress, Blogger is a great blogging service although WordPress is paid self hosting service. But WordPress also provides free hosting and domains. 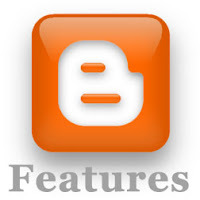 Blogger is still working on new features that are mostly demanded by Blogger users. Now we will discuss about the features that is not launched but more expected by us. Lets see what is missing on Blogger BlogsSpot. Blogger has enabled comment form below each post. Actually, the Blogger commenting system is not systematical. If you are WordPress user, then you might know that commenting system is quite well. In WordPress you can reply to all of the comments with the single click button. But in Blogger, we have to use "@" to recognized the person while replying to any comment. So, Blogger must develop commenting system to make easy. Blogger have many useful widgets which can be used easily. But blogger doesn't have widget directory where it can be searched and install with on click. If blogger release the separate widget directory, the users can view the widget works properly or not. And we will become free to use and don't have to waste time by searching widgets in Google. Surely, I will submit all of my widgets to the directory if Blogger release it. In all of the Blogger Templates, we can only use HTML and CSS code. What if you can use PHP with HTML and CSS on Blogger Template? No doubt, it will become awesome. In this situation, WordPress users also can get benefits because the Blogger Template will no more remain in XML format. You know PHP is most developed computer language. Many awesome things can be created with the help of PHP. So, we can't say it is not possible to bring PHP with HTML in Blogger! So, these are the essential blogger features which are in imagination. If Blogger fulfill these features, it will beat WordPress and gets more and more users that they might not expected! No doubt if these features enable in Blogger, WordPress users returns again to BlogSpot platform because Blogger is absolutely free blogging platform provided by Google team. In your opinion, what is the feature that you want to see in future on Blogger?